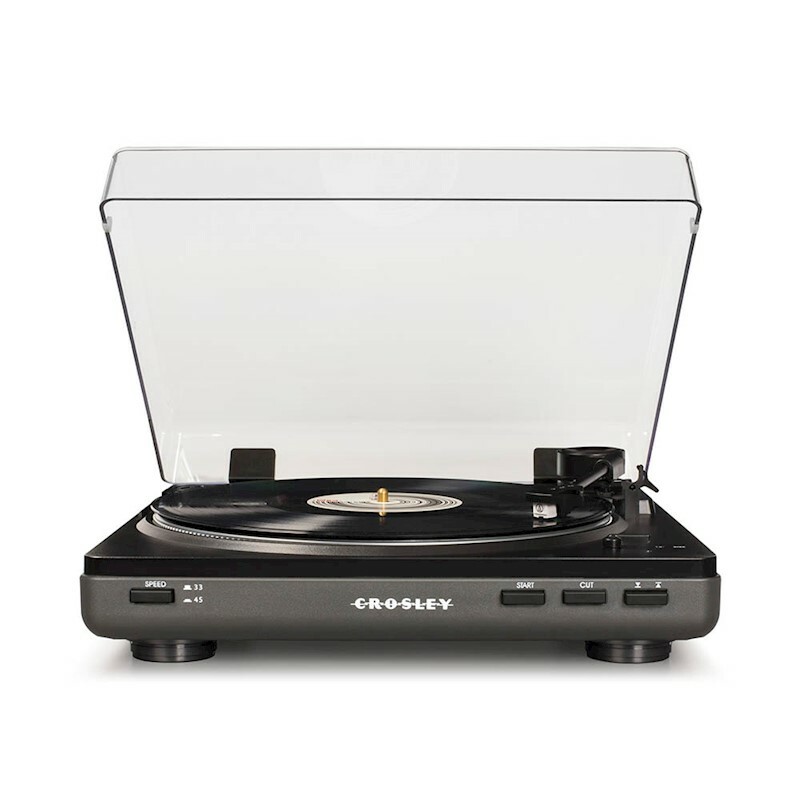 Enjoy clear, quality sound with this 2-Speed auto turntable from Crosley. 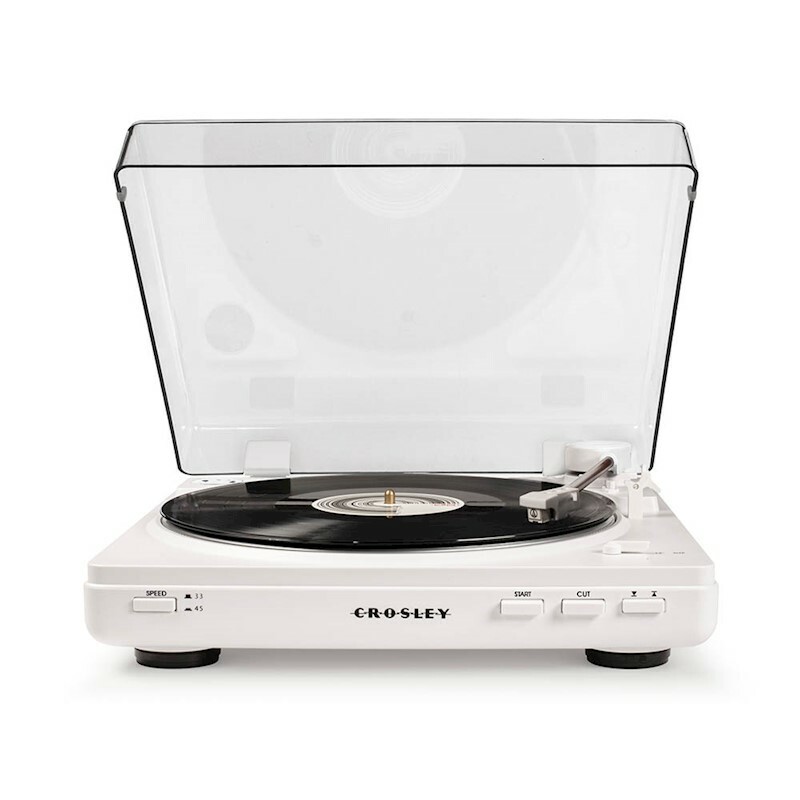 It features a built-in amp and a USB port allowing you to digitally convert your records. The T400 is ready to spin. With a full size platter and a built-in amp, this turntable offers clear, quality sound. A 2-Speed turntable with Auto Start/Stop button and an RCA output. Also USB enabled so you can connect to any computer to convert your records to digital files. The T400 is conveniently modern.